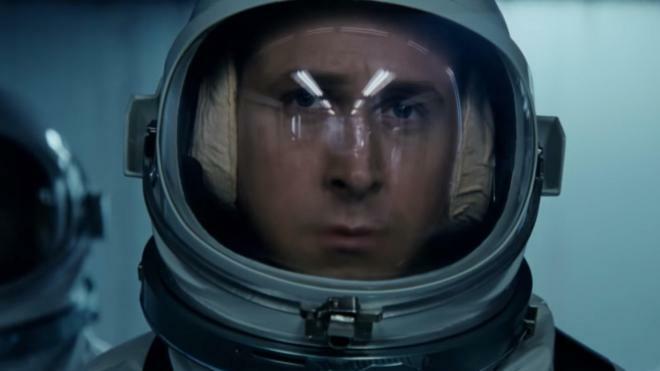 Damien Chazelle's historical drama starring Ryan Gosling as Neil Armstrong is up for pre-order at Amazon. 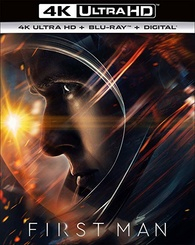 In an early announcement to Amazon, Universal's First Man is now available for pre-orders on 4K Ultra HD Blu-ray and Blu-ray. 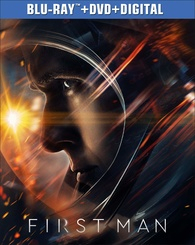 On the heels of their six-time Academy Award-winning smash, La La Land, Oscar-winning director Damien Chazelle and star Ryan Gosling reteam for Universal Pictures’ First Man, the riveting story behind the first manned mission to the moon, focusing on Neil Armstrong and the decade leading to the historic Apollo 11 flight. A visceral and intimate account told from Armstrong’s perspective, based on the book by James R. Hansen, the film explores the triumphs and the cost—on Armstrong, his family, his colleagues and the nation itself—of one of the most dangerous missions in history. No other details have been revealed at this time, but you can read our theatrical review here. You can find the latest specs for First Man linked from our 4K and Blu-ray Release Schedules, where it is indexed under PENDING.